The Smith Flyer went on sale in 1916, and it was a two-seat buckboard driven by a fifth wheel located out back. Briggs & Stratton bought the design in 1919, and it was sold as the Briggs & Stratton flyer thereafter. In 1924, they sold the rights to the Automotive Electric Service Corporation, who began to market the cars as the Red Bug (and sometimes the Auto Red Bug). Between 1924 and 1928, two versions were offered: a gas-powered single-cylinder car and an electric one. They were more or less identical in looks and both cost $150. 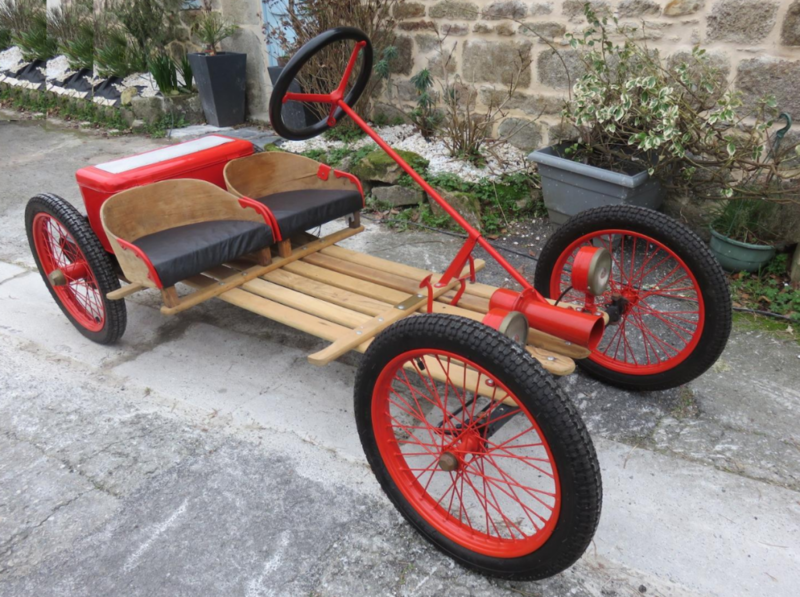 This 12-volt electric-powered version has only four wheels and was restored by its current owner. Yes, these are real cars that you should be able to register for the road. The Indian motorcycle company allegedly bought the design in 1930, but no one really seems to know what happened, and they disappeared from the automotive landscape (though I couldn’t imagine driving one in the 1930s with a huge Duesenberg bearing down on you, much less an SUV today). This one should sell for between $11,000-$17,000. Click here for more info and here for more from this sale. Based in St. Louis, Gardner got their start as a car company by first building bodies for Chevrolet before become a satellite Chevy manufacturing plant. After WWI, Russell Gardner and his sons, Russell Jr. and Fred, sold the Chevy business to GM and set up the Gardner Motor Company to build their own cars. Early Gardners were nothing special and fell in the mid-range of cars on sale in the early 1920s. The Model 5 was built between 1923 and 1925. It’s powered by a 43 horsepower, Lycoming straight-four. The Radio Special was a trim package on the Model 5 that came with some extra equipment, namely a nickel-plated radiator shell, aluminium step plates on the running board, steel wheels, and a tan leather interior. All of those things this car appears to still have. There are a number of things, like a front bumper, cowl lights, and a fender mirror, that appear to be missing. The Radio Special was announced as early as March of 1923 and apparently could still be had in 1925. It was the top of the four-cylinder line and even out-priced Gardner’s 1925 six-cylinder entry by a not-insignificant $200. To find one today is pretty rare but it’s an early insight into Gardner’s later, more upscale offerings. The last Gardners rolled off the line in 1931 and here’s your chance to get one. Click here for more info and here for more from Mecum. LaFayette has an interesting history. 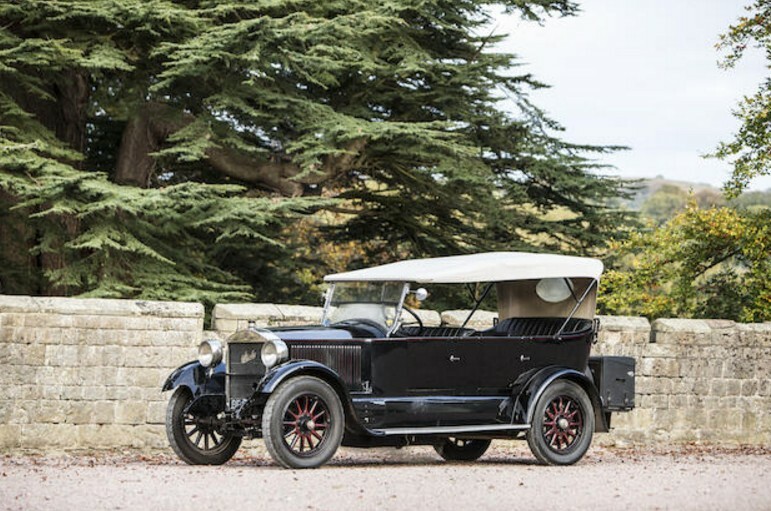 Founded secretly by Charles Nash and staffed with ex-Cadillac designers and engineers, the first LaFayettes hit the market in 1921. It was a full-on luxury car aimed squarely at Cadillac. At first, it was a completely separate endeavor from Nash Motors. After a slow start, LaFayette was reorganized and moved from Indianapolis to Milwaukee with Nash Motors as the largest shareholder, effectively making it a Nash subsidiary at last in 1923. Later that year Nash introduced the Ajax at the low end of the market and LaFayette became part of that division. This car is powered by a 5.7-liter V-8 good for 100 horsepower. Seven body styles were offered in 1924, which was the final year for production as Nash sort of gave up on the venture. This four-door coupe (that’s right, LaFayette was almost 100 years ahead of the times) was a four-passenger car. The only two-passenger LaFayette was the Roadster. When new, this car cost a not-insignificant $6,300. 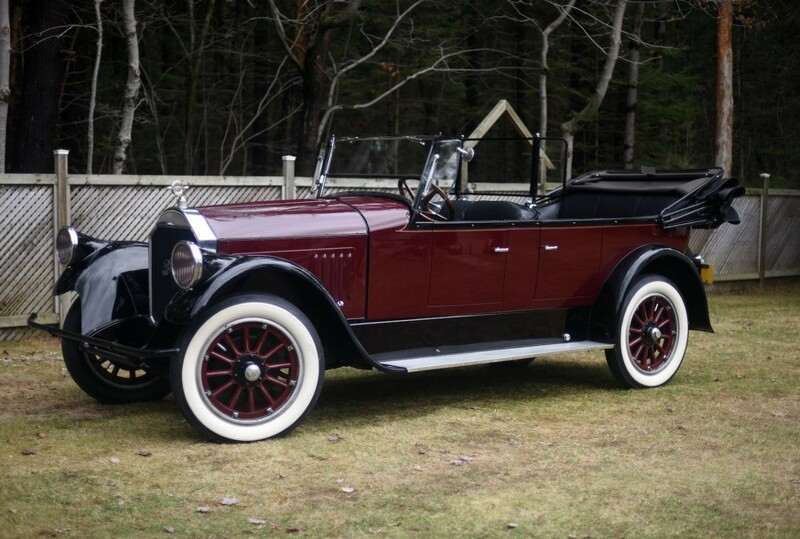 Only 2,267 LaFayette motorcars were produced (with just 441 of those being produced in 1924) making this extremely rare. 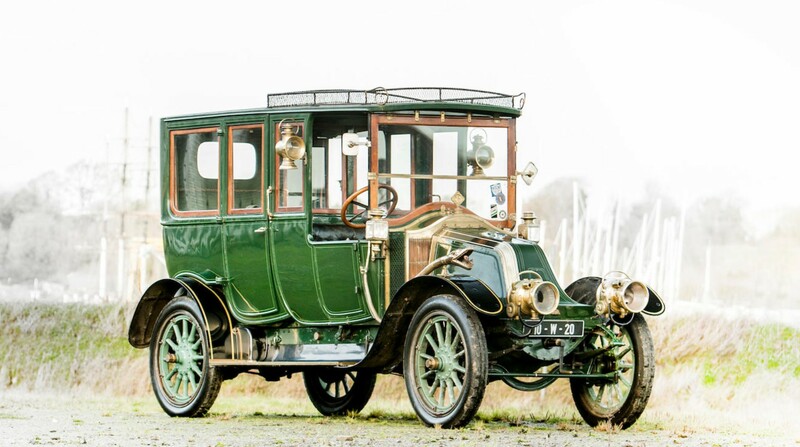 This car, which is selling in England, sports a claimed $200,000 restoration and is expected to bring between $35,000-$48,000. If you want to make a quick buck, buy this for even the upper end of that estimate, ship it to the U.S. and take it to auction at Hershey. Click here for more info and here for more from this sale. 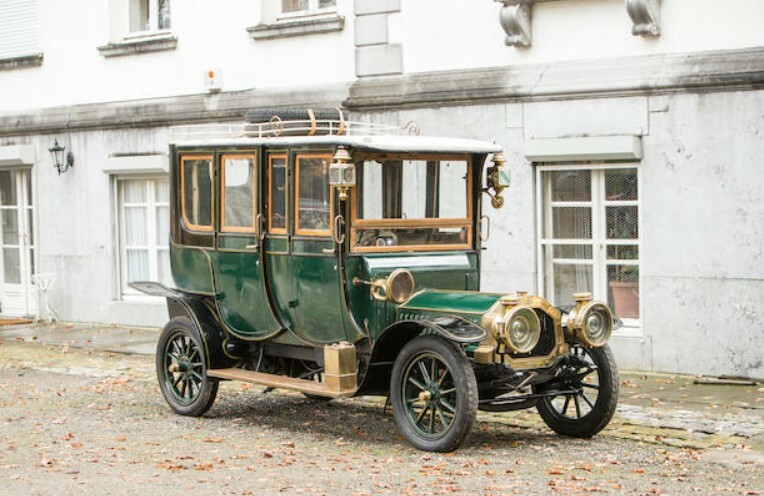 De Dion-Bouton was arguably the first automotive giant. Founded in 1883, they (and more specifically, their single-cylinder engines) were a mainstay in the earliest days of the automobile industry. The company declined significantly after WWI and they were gone by 1932. 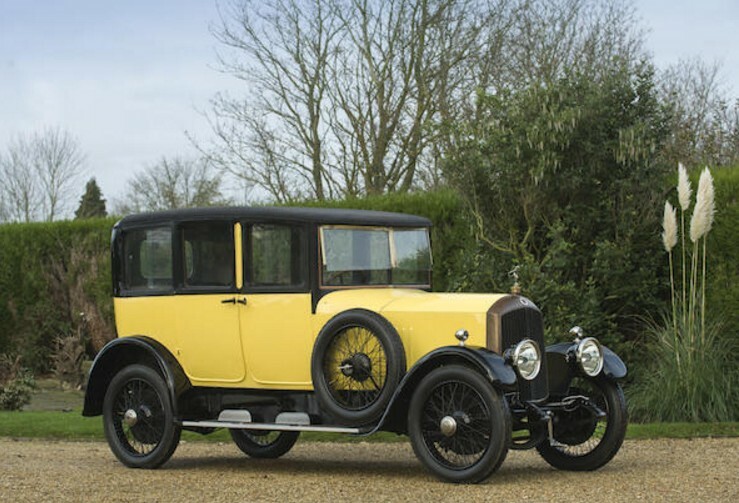 This is a Model AX and it was part of De Dion’s first line of four-cylinder cars. It’s powered by a 15 horsepower four-cylinder unit. The body is a Double Sedan, which means it has two passenger compartments attached. It’s a great early body style and kind of looks like one of those Model T House Cars that are out there. The body was built by Roussille & Fils. This car had an active life in collector circles until recently but it’s a pretty nice example of a big, early car. It should sell for between $110,000-$130,000. Click here for more info. Some of the best Turcat-Mery’s are sporty tourers. The company was around from 1899 through 1928 and they had to produce a few more standard designs, you know, in order to keep income flowing in. Before disappearing in 1928, they had financial issues (actually, back in 1921). Once they got production running again, the Model SG was among the first cars rolling back out of the factory. It’s powered by a 3.0-liter straight-four rated at 16 horsepower. This particular example has been on museum display since 1987. It’s not quite roadworthy at the moment, but it does look really good. It should bring between $24,000-$30,000. Click here for more info. We featured a number of Minervas recently and here’s a slightly newer one. The Type AK was available from Minerva for a decade: 1927 through 1937. This example is in fairly original shape (or at least sporting an older restoration). The rear compartment seats up to five, which makes this pretty limousine-ish. It’s powered by a 6.0-liter Knight sleeve-valve straight-six making 150 horsepower. It’s described as a Landaulette, which may mean that the top can be removed from half of this car, but no mention is made of that in the lot description, nor are there photos of the car in this state. Either way, it’s a pretty desirable car from a rare exotic make and it should bring between $85,000-$120,000. Click here for more info. Here is another Double Sedan from another early French automotive powerhouse (that is, remarkably, also green). It’s actually a little more complex than the De Dion-Bouton offered above. The rear compartment is large and has limousine-quantity seating. The driver’s compartment has a removable hard-top if you wish to subject your chauffeur to the elements. This model from Renault was new for 1907 and features a 7.4-liter straight-four making 30 horsepower. This car was delivered new to the U.S. and spent nearly 40 years on display at the Henry Ford Museum before making it’s way to the U.K. in the 1970s. It’s been on display in Ireland for about the last 25 years and it is almost entirely original. Even in its current not-running condition, it should bring between $85,000-$110,000. Click here for more info. Here’s yet another Minerva, this one much closer to WWII than any of the others. This was actually from the final year of Minerva passenger car production. They weren’t building many cars per year by this point, which makes this pretty rare. It would have been called a Type F in Belgium, but when imported to the U.K. the importer decided to call it an M8. It’s powered a 4.0-liter straight-eight and has a big limousine body. This would have been a pretty nice car for whatever Londoner purchased it new (and perhaps purchased it off the stand at the 1938 London Motor Show). It has had a light restoration but could probably use a good looking-over before use. It should bring between $49,000-$58,000. Click here for more info and here for more from Bonhams. Pierce-Arrow cars are instantly recognizable by their headlights that are built in to the front fenders. It’s a styling trademark that would define their cars beginning around 1914 and lasting through the company’s demise in 1938. The Model 33 was introduced in 1922 and was produced through 1926. It was the first Pierce-Arrow with left hand drive. 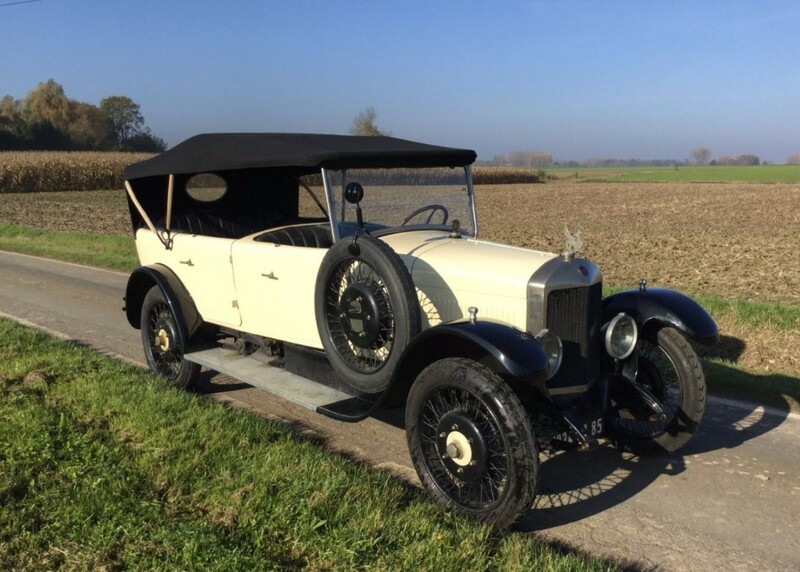 From its introduction it was the firm’s only model (until it was joined by the shorter wheelbase Model 80 in 1925). Power is provided by a 38 horsepower 6.8-liter straight-six. The Seven-Passenger Touring body is very nice, especially in this color scheme. This car was saved from the wrecking yard by a famous old car hoarder of the 1930s. The restoration is older, but that just means you can drive it without fear of a few paint chips from errant pebbles. It’s a usable historic car from one of America’s greatest marques and it should bring between $70,000-$80,000. Click here for more info and here for more from this sale. Update: Somehow not sold at no reserve. Isotta Fraschini built cars between 1900 and 1949 in Milan, Italy. When the 1920s came, Isotta jumped to the top of the heap as far as luxury manufacturers went. They were right there with Delage, Hispano-Suiza, and Voisin (among others) as the best Europe had to offer. They were so nice, that most were actually chauffeur-driven. In fact, so many were driven this way that Isotta offered drivers’ training in their large cars. 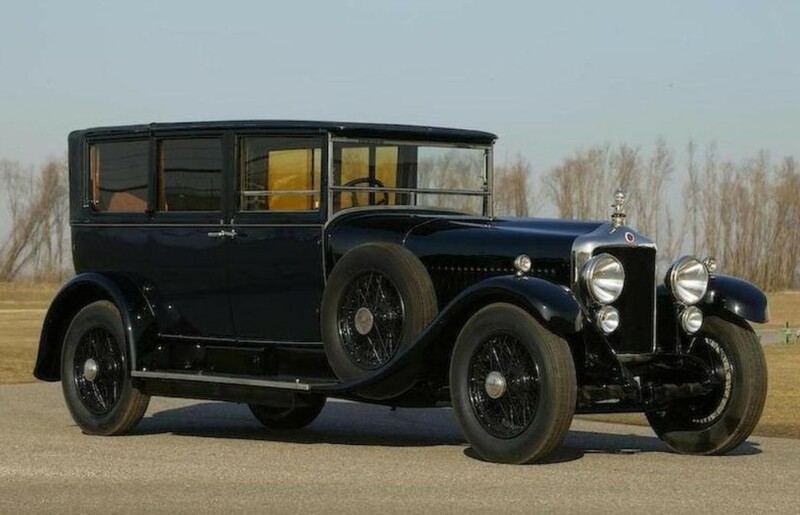 It is thought that this Tipo 8A, a car manufactured between 1924 and 1931, is the first example built (of 950 total). It was never known to have been sold and was instead used for chauffeur training. Once they were done with it, they parked it in a warehouse where it sat untouched until 1993 when the brand name was revived and sold to an Italian defense company. That company came into possession of this car and sold it to someone in the U.S. in 2016. It has never been titled or registered, effectively making it a brand new car. The engine is a 110 horsepower 7.8-liter straight-eight and the body is by Cesare Sala with later updates by Carrozzeria Riva. 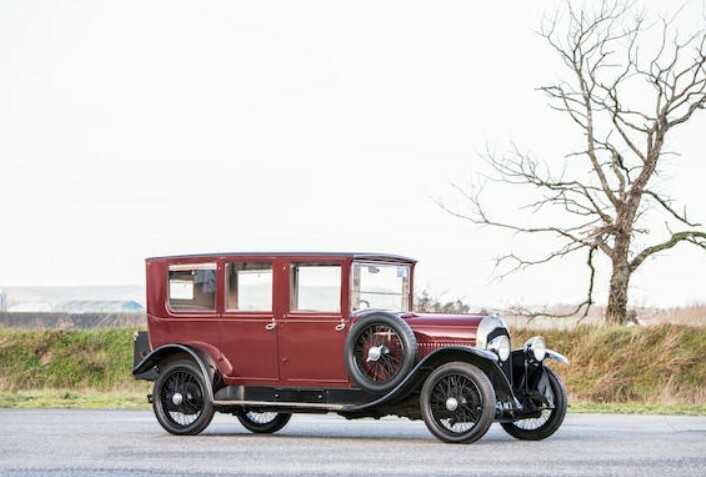 This miraculously untouched, straight-off the factory floor Isotta Fraschini is being sold at auction to it’s first official owner. Click here for more unbelievable photos and here for more from this sale. Update: Not sold, RM Sotheby’s Amelia Island 2019. The Stanley Steamer is one of the legendary early American automobiles. Twin brothers Francis and Freeland Stanley started building steam cars in the late 1800s. In those days, it was steam vs. gasoline vs. electrics. Gasoline-powered cars won out and by the end of WWI, steam cars were antiquated and just not as user-friendly as their internal combustion counterparts. 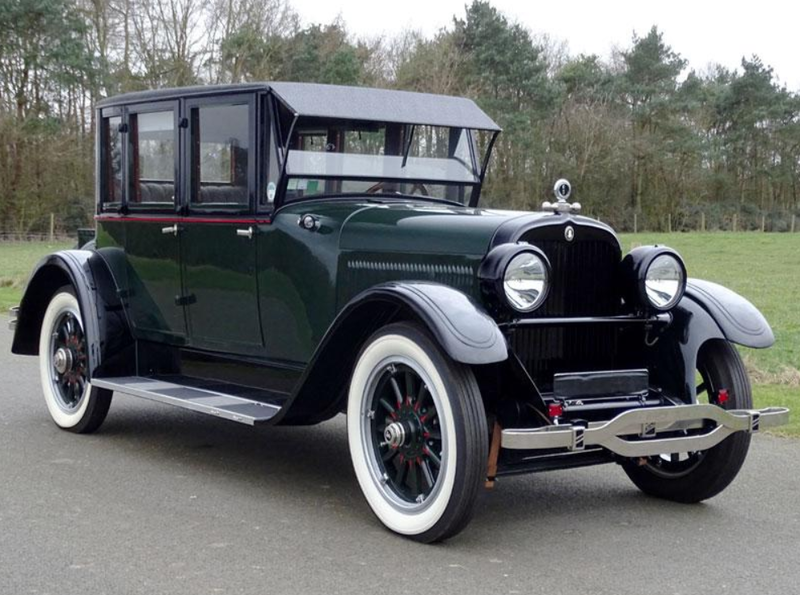 But Stanley soldiered on for as long as they could, with their final cars being sold during the 1927 model year. This car is powered by a 20 horsepower, twin-cylinder steam engine. The restoration you see above was actually carried out in the 1960s and it was exported to the U.K. only in 2012. A couple of things about this car, first: my records indicate that the 1924 Stanley was actually the Series 740, not 750. Second, it is stated in the lot description that, according to the vendor, only four Stanleys were produced after this car but their whereabouts are unknown, which isn’t exactly true as we featured one right here. But this car is definitely one of the final Stanleys, as the company may have not built any cars in 1926 or 1927. And regardless, the car is wonderful and the last of its kind – something you’d expect to see in the 20s, but not today. It should bring between $62,000-$75,000 – and at either price it is a bargain. Click here for more info and here for more from this sale. Unic is a not-often seen French car that we’ve actually featured twice on our site, including this Taxi cab. The company started in 1905 when Georges Richard left Richard-Brasier. The new company was financed by Baron Henri de Rothschild and was based in Puteaux. Commercial vehicles followed passenger cars in 1922 and became the company’s focus after 1938. The marque lasted into the 1950s under Simca. Unic turned to sleeve-valve engines for the 1920s (those made famous by various American Knight-branded automobiles). The Type L3 was built in the 1920s and was likely offered between 1924 and 1928. It is powered by a 2.0-liter straight-four rated in period at 11CV. This very nice-looking Torpedo-bodied L3 has been restored over the years, with the most recent work having been completed last year. It’s big and nice and looks way more expensive than it is. 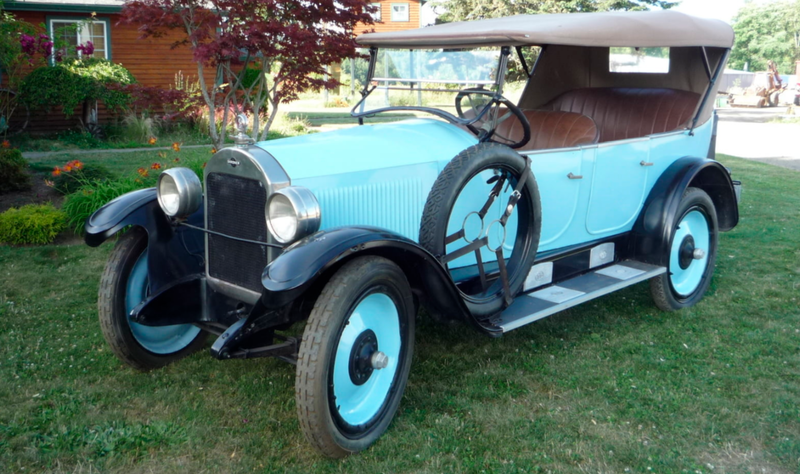 You can get into this pre-war touring car for between $27,750-$33,500. Click here for more info and here for more from this sale. 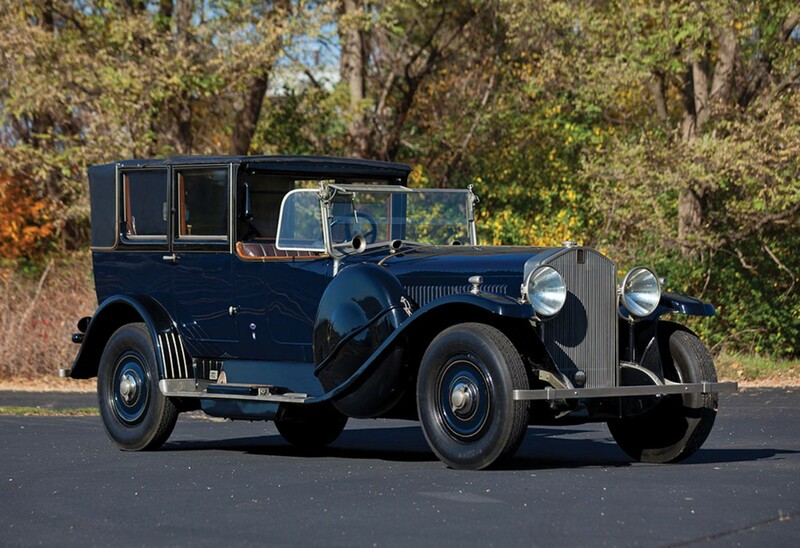 Here’s an interesting car from a new auction house. In the 1930s, Delage would produce some of France’s greatest luxury automobiles. But it had lots of practice, having been founded in 1905. The company won the 1914 Indianapolis 500. The DI was introduced in 1923 and lasted through 1927. They are powered by a 2.1-liter straight-four rated in period at 14 horsepower. It was the smallest car in Delage’s lineup when introduced. 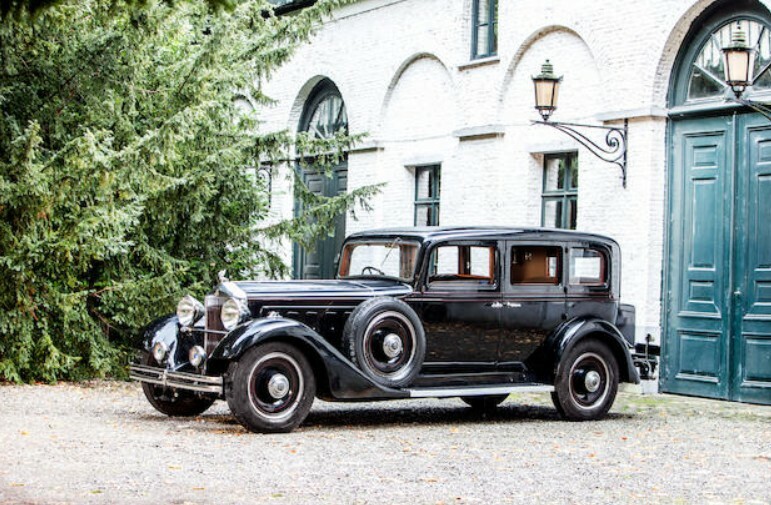 There is a reason that station wagons are referred to as “Estates” in Europe – they were often used as hunting cars on large estates, as was this custom “Shooting Brake” constructed by Carrosserie Castraise. This car came to the U.S. in 1998 and was mechanically refreshed in 2014. It hasn’t really been shown in America and sports an older restoration. Only 938 Delage DI cars were built and there aren’t many left. It should bring between $45,000-$75,000. Click here for more info and here for more from this sale. Update: Sold, Mecum Phoenix 2019, $23,100. La Buire, of Lyon, was an automobile company founded in 1905 as an offshoot of an existing engineering company who had dabbled in steam-powered vehicles in the late 1800s. The car business went bankrupt by 1909 but was saved and re-introduced in 1911. This company lasted until 1930. The Type 12A was built for 1924 and 1925. It uses a 2.8-liter straight-four making 14 horsepower. Though built in France, La Buire cars were available for sale in England by way of Hollingdrake, their official importer. 1924 may have been the final year that Hollingdrake bodied the La Buires they sold. This example began a restoration in 2007 and the body and engine are complete, save for a starter that should be fitted. The car also needs an interior, but it should still bring between $27,000-$31,000. Click here for more info and here for more from this sale.